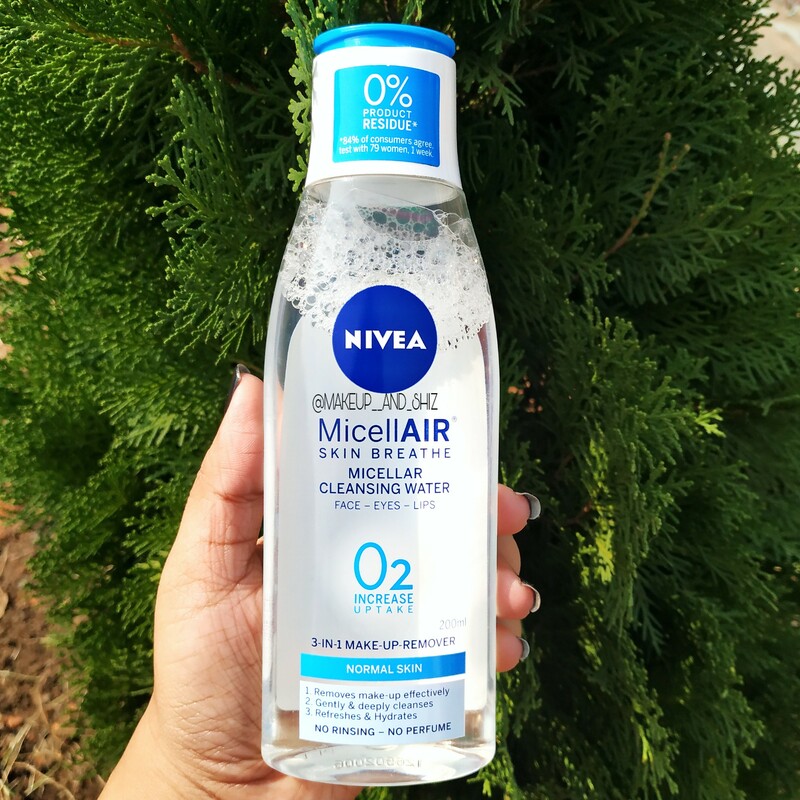 Nivea MicellAIR Skin Breathe Micellar Cleansing Water – Review, India. Nivea is an old brand and I’m sure every Indian household has used it. Nivea Micellar Cleansing water . It works as an makeup remover . MRP- Rs 250 for 200 ml. Rs 350 for 400 ml. It comes in a clear plastic bottle . And has a lid which which you open. It’s very light weighted and travel friendly. But then removing full coverage concealer , heavy duty makeup and kiss proof lipstick was so hard. Also, it has no such smell. It didn’t irritate my skin and didn’t leave my skin dry. It did feel really hydrating and refreshing. It didn’t give me any rashes/pimples/acne / tiny bumps. Also read : Basic Skincare Routine for all skin type. The picture below I swatched. Blue Heaven Non transfer lip colour. Wet n Wild Catsuit Liptick. WetnWild Catsuit Matte Lipstick- was the most difficult to remove and needed bit rubbing and multiple swipes. Also it removes heavy eye makeup with 4-5 swipes. No I really don’t recommend this. Garnier one is better than this. But in case you are looking something for double cleanse daily , you might buy this. Or else BIG NO. Also read : Innisfree Green Tea Seed Serum- Review, India. 1. Needs bit rubbing for some lipsticks. 2. Takes more than 3 swipes for heavy makeup. That’s all for this post. Hope you found it helpful. How do you remove your makeup? Previous Happy Pod Natural Skin Treats- Lip scrub & Lip balm- Review. Next Urban Botanics Castor Oil – Review.